Road engineers, urban planners, designers and others involved in building and managing roads have a vital role to play in making roads safer for everyone. 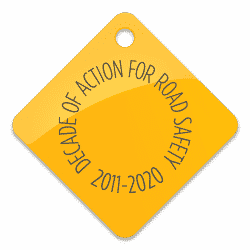 Ensuring safer roads and mobility is fundamental to achieving the Sustainable Development Goals for road safety as well as contributing to the development of a truly safe system in which zero road deaths is a possibility. 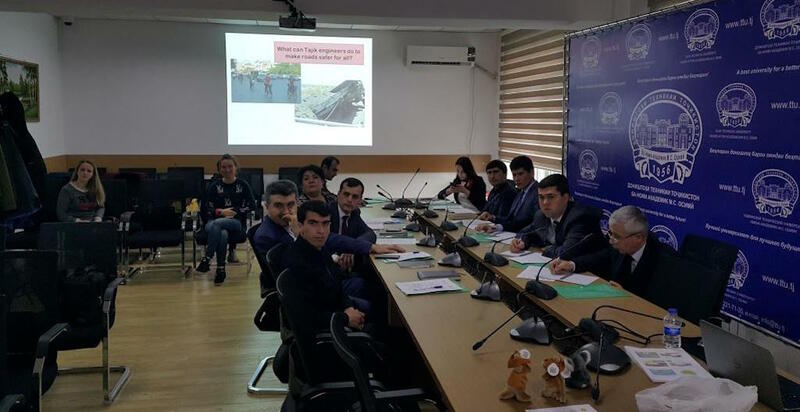 This is a perspective that has been well-recognised by the European Bank for Reconstruction and Development (EBRD), which has been delivering road safety engineering training workshops across its regions of operations. 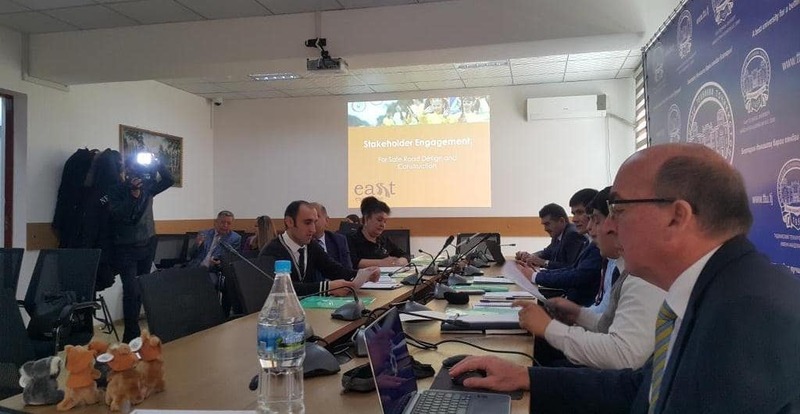 More recently, in Central Asia, the EBRD has been working with EASST to develop a more sustainable solution to providing this knowledge and best practice by educating the next generation of road engineers as well as training lecturers who deliver Transportation Engineering courses. 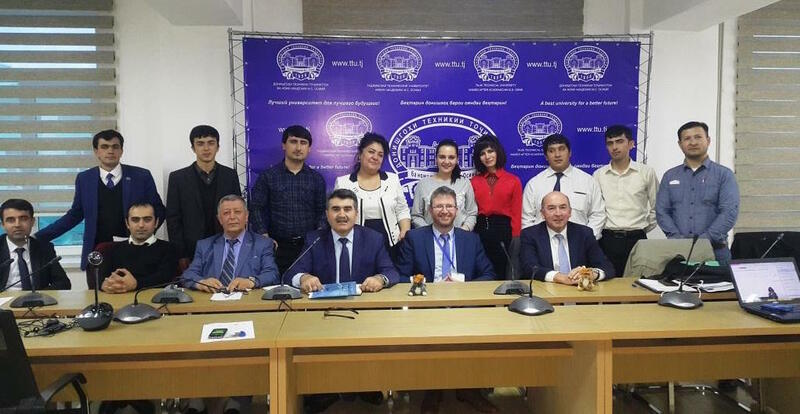 For example, around 100 students attend and graduate from the Master’s Degree course in Tajikistan Technical University every year. These students are then employed by Government agencies and private consultancies and are responsible for the design and delivery of new and rehabilitated roads in the region. It goes without saying that safe roads are particularly important for the communities and businesses living and working in close proximity. Yet, local communities are often not consulted as to how a new road might affect them and their daily life. Stakeholder engagement and road safety audit must therefore be crucial part of the planning process to ensure the needs of everyone in the local community, including businesses, schools, the elderly and people with disabilities are considered. As such EASST Expertise consultants, Matt Chamberlain and Phil Jordan, the EBRD and local partners the Young Generation of Tajikistan, have been working with the Tajikistan Technical University (TTU) to develop their existing Road Engineering course and implement a suitable road safety module follow good international practice whilst also being appropriate for the country and not conflicting with existing technical standards and norms which exist in Tajikistan. 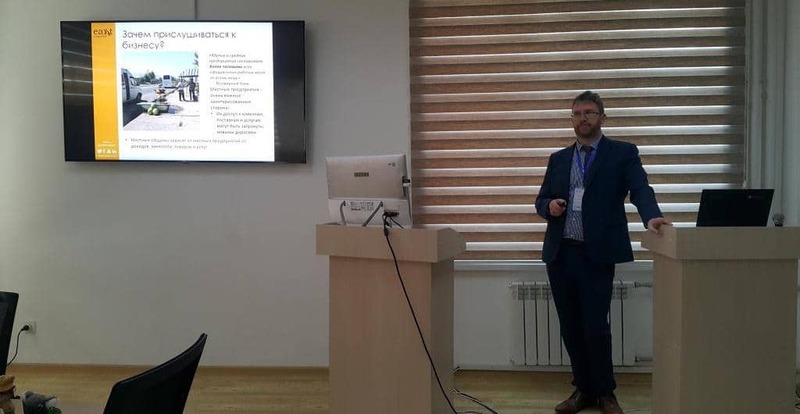 This month saw the first practical manifestation of this work as Matt and Phil conducted two four-day training workshops on an ‘introduction to road safety audit’ for over 30 professors, post-graduates and teaching staff at TTU – including the university’s deputy rector – as part of a train the trainers course. 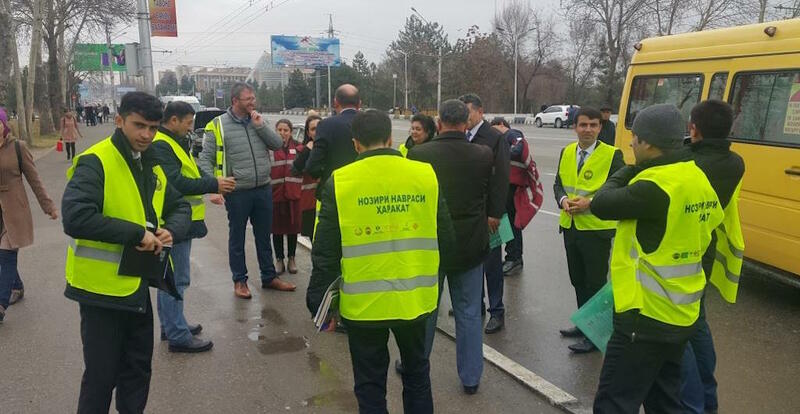 The training included sessions on: the characteristics of road safety technology, good signs and markings, roadside hazard management (what is it and why is it important for Tajikistan? ), the concept of a clear zone, a strategy for managing risks on the roadsides, and the proper use of barriers – all with special emphasis on the key road safety audit steps. The training participants were then accompanied to prospective audit sites, where they were divided into groups and asked to put their learning into practice by providing a full road safety audit report. The training concluded with engineers being given the opportunity to ask questions. Road safety audit training will now be embedded within the university’s syllabi so that all new students and graduates will receive sufficient knowledge and understanding to undertake a road safety audits as part of their degree. A crucial step towards safer roads and fewer road fatalities. This project was supported by the EBRD Special Shareholders Fund.